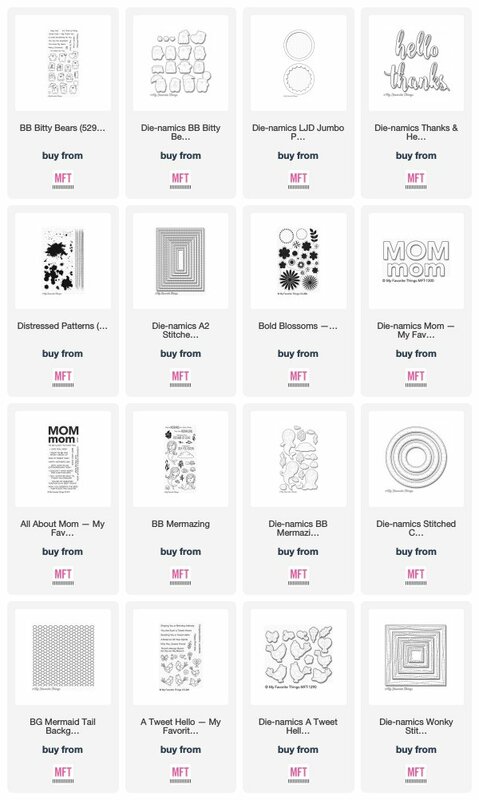 Adding custom names and dates to cards is a great way to personalize them and make them fit for any occasion. Janni created a parade of Bitty Bears that perfectly match her sentiment and the fun shaker window behind them. 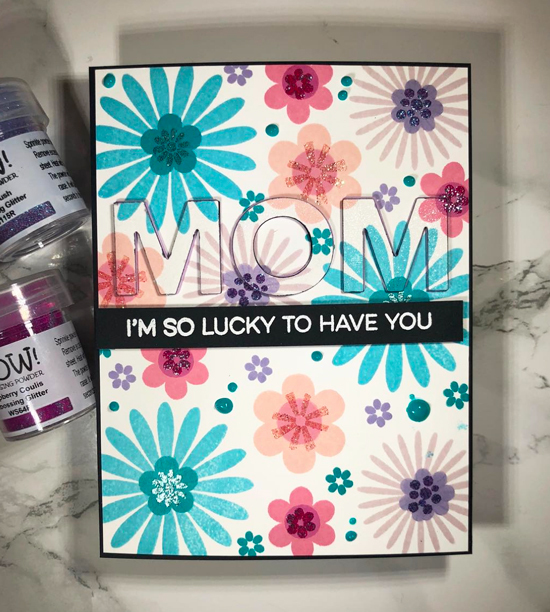 Emily created this gorgeous design with our Stitched Blooms card kit (the Stitched Blooms Die-namics will be available with our June release!) and accented her layered flowers with the Distressed Patterns stamp set. 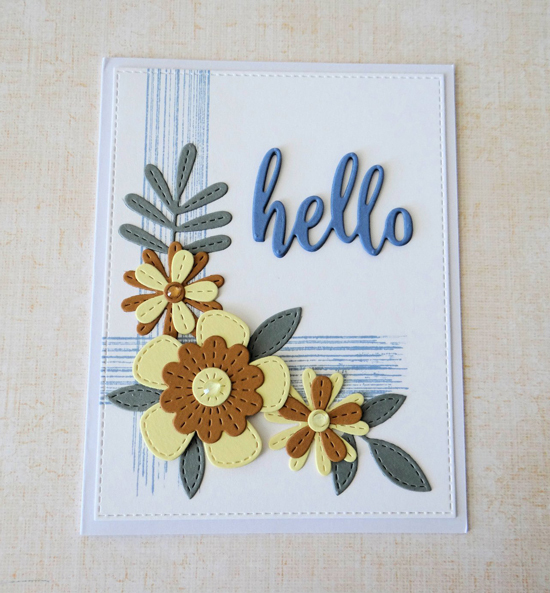 Her simple die cut sentiment completes the design and keeps the focus on her gorgeous floral arrangement. Flower stamps are all you need to create amazing background designs. Courtney used a colorful palette to stamp her layered flowers and added detail to them with embossing powders, creating a stunning effect! The pop of black on the sentiment strip and card base really make the color stand out, while the die cut sentiment adds a subtle but bold design element. 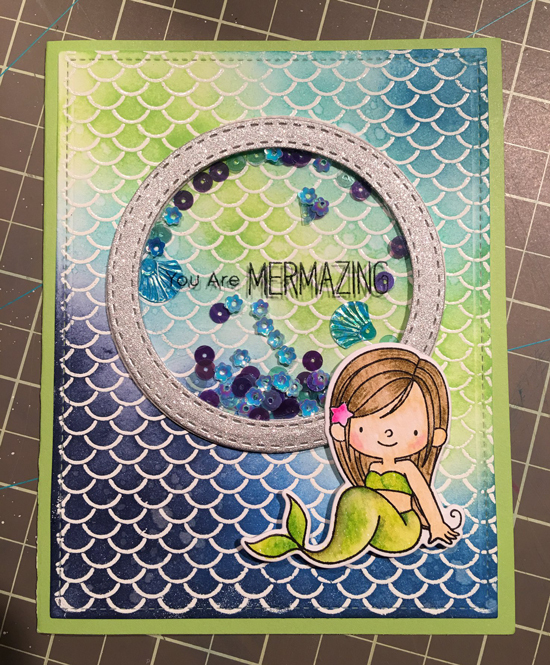 The Mermaid Tail background is an excellent choice as the backdrop for Sally's colorful mermaid. A gorgeous mix of blues and greens highlight the embossed design and the silver sparkle shaker window adds a magical feel to the design. 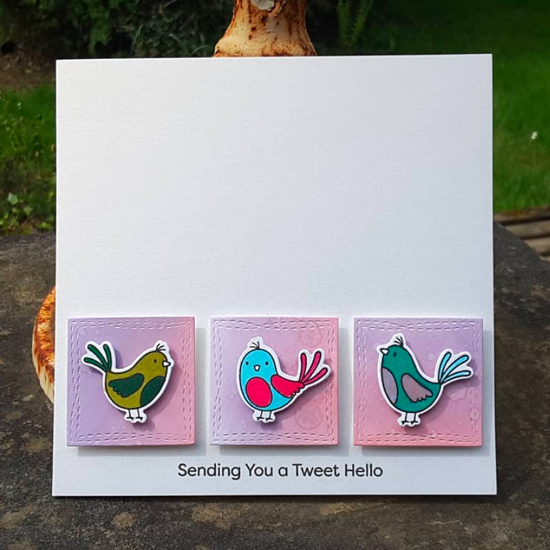 Lynda's trio of tweet birds are delightfully highlighted on their wonky square backgrounds. A bit if dimension behind them adds interest to the design and the bright, colorful colors complete this adorable card. And I even managed to put it on my blog with a link - first time ever!! !